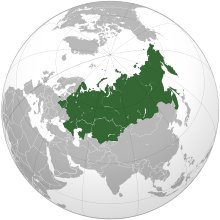 The Customs Union of Russian Federation, Kazakhstan, Belarus, Armenia and Kyrghyzstan (abbreviation in Cyrillic: ЕЭК) came into existence on January 1, 2010 between the states of Belarus, Kazakhstan, and Russia. The Customs Union was launched as a first step towards forming a broader European Union-type economic alliance of former Soviet states. The member states are planning to continue with economic integration and were set to remove all customs borders between each other after July 2011. On 19 November 2011, the member states put together a joint commission on fostering closer economic ties, planning to create a Eurasian Union by 2015. Since January 1, 2012, the three states are a single economic space. The Eurasian Economic Commission is the regulatory agency for the Customs Union and the Eurasian Economic Community. On 2 January 2015 it was enlarged to include Armenia. Kyrghyzstan acceded to the EEU on 6 August 2015. Access of products to the single territory of the Customs Union is granted after products have proved to be compliant with the requirements of Customs Union Technical Regulations which are applicable to the product. As of December 2012, 31 Customs Union Technical Regulations have been developed covering different types of products, some of which have already come into force, while some Technical Regulations are being still developed. National approvals/certificates – they are good for access of product to the country where this approval/certificate has been issued. Customs Union Certificates/Approvals issued in accordance with the “List of products subject to mandatory conformity approval in the Customs Union” – such Certificate/Approval is valid in all the three Member Countries of the Customs Union. Citizens of the member states of the union may travel to other member states with just a internal passport, without a international passport.